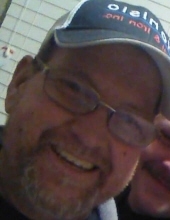 A celebration of life memorial service for Lamar, Colorado resident, Phillip-Wayne Ray Webber will be held at 5:00PM on Saturday, March 30, 2019 at the Lamar Missionary Baptist Church. Per Phillip’s request cremation has taken place and there will be no visitation. On May 29, 1975 Phillip-Wayne Ray Webber was born in Red Cloud, Nebraska and was called home on March 16, 2019. He is the son of Gerald and Wanetta, the first boy and fourth child of his seven siblings. Some of the many things he loved to do while growing up was spending time with dad, working on a race car, and coming home to mom’s cooking. After Phillip graduated from Goodland High School in 1994, Phillip traveled from place to place until he landed in Lamar, Colorado, where he called home. Phillip enjoyed playing cards with the guys in Lamar. From playing video and board games, bowling and shooting pool he brought a smile to everyone’s face. Phillip was always happy to help others in any situation. Some of his biggest joys in life were to spend time with his nieces, nephews, and close friends. Phillip was preceded in death by baby brother JR; grandparents Phil and Val Jean; and nephew Nate. He is survived by his parents Gerald and Wanetta; sister Vera, Jeannette, Geri (Tom), Linda (Derek), Dawn-Rose; brother Patrick (Charity); 7 nephews; 2 nieces; grandparents S.Wayne and Vera; and whole host of aunts, uncles, cousins and close friends. Memorial contributions may be made to the Phillip-Wayne Ray Webber Memorial Fund to go towards his funeral expenses. Contributions and cards can be sent to: Patrick Webber 302 Price Ave., Oakley, KS 67748. To send flowers or a remembrance gift to the family of Phillip Webber, please visit our Tribute Store. "Email Address" would like to share the life celebration of Phillip Webber. Click on the "link" to go to share a favorite memory or leave a condolence message for the family.